THIS OPERETTA WAS ORIGINALLY PRESENTED IN 1931. THE ADMINISTRATION DECIDED TO REPEAT IT EVERY TEN YEARS. 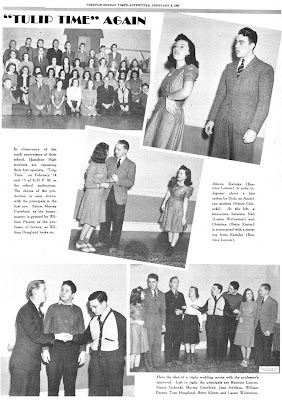 ABOVE IS A GRAPHIC FROM THE 1941 PRODUCTION. MY CLASS PERFORMED IT IN 1951. 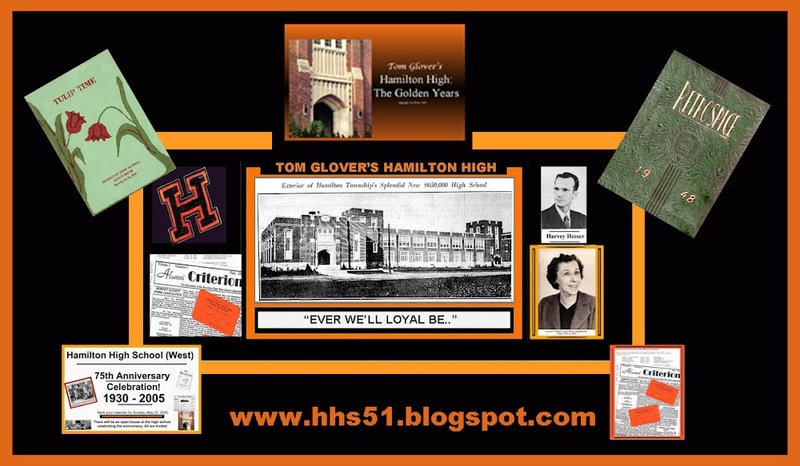 ANYONE INTERESTED IN VIEWING THE POSTS WHICH RELATE TO THE 1951PRODUCTION CAN GO TO THE UPPER LEFT OF THIS SCREEN, TYPE IN "TULIP TIME" (WITHOUT THE ") AND YOU WILL SEE A COMPREHENSIVE SET OF GRAPHICS DEALING WITH MY FELLOW CLASSMATES WHO WERE IN THE PRODUCTION.